Ben Affleck is giving up partying to be a baby daddy. The actor is vowing to stay at home and give up his partying ways once his child is born. 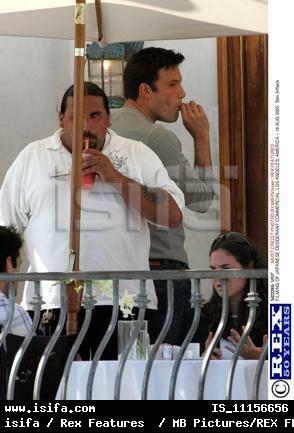 Affleck give up partying?..... that's like Michael Jackson giving up little boys or Tara Reid deciding to dress conservatively. Ben give your baby a chance already! What would you do if your child grew up a smoker? He/she just might! Bad influences start early!!! !